There are many health benefits that come with acupuncture, especially for children who have health concerns ranging from anxiety to ADHD, chronic pain, and much more. There’s also an extra gentle treatment protocol performed specifically in pediatric acupuncture. According to a National Health Statistics report in 2007, there were around 150,000 children in the USA that underwent acupuncture treatment for cases such as anxiety, headaches, migraines, abdominal pain, and musculoskeletal problems. The tricky thing about acupuncture for children is that the patient might be afraid of needles. If your child has anxiety around needles, they can choose acupressure, which doesn’t have needling and would only require pressing certain acupuncture points. There are also a variety of pediatric acupuncture techniques suitable for children, which may depend on their symptoms and temperament. For example, children may often move around during the treatment if they have trouble sitting still. 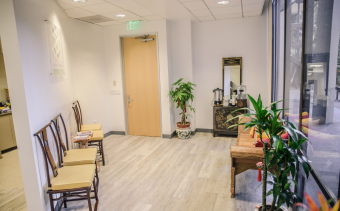 Depending on their age and condition, your acupuncturist will only leave in needles for up to 20 minutes, However, the acupuncturist may also remove the needles before 20 minutes are up without the treatment losing effectiveness. More often than not, when the acupuncturist and parents convince kids about the slight and brief sensations of needles, the treatment plan comes without much fuss. As acupuncture also induces the release of endorphins, a child patient instantly feels relief from symptoms. There have been several studies conducted on pediatric acupuncture for a variety of health issues. On one study, children who received acupuncture treatments experienced relief from symptoms of chronic complaints, stomach ache, back ache and headaches. Another study showed that more than a half of patients experienced improvement from migraines, reflex sympathetic dystrophy, and endometriosis. Through acupuncture, children can experience better sleep, fewer school absences, and more extracurricular activities. Acupuncture has been used as an alternative to pharmaceutical drugs for a wide range of ailments, including ADHD. Parents go for acupuncture for their children in order to avoid the negative side effects that come with ADHD medication. More and more parents are turning to acupuncture to reestablish and maintain the healthy constitution of their children. Acupuncture can also be used to treat allergies, asthma, coughs, colds, tummy aches, constipation, diarrhea, ear infections, eczema and body pain. A licensed acupuncturist will also assess your child’s medical history, emotional well-being, diet, environment and toxic load, and other factors to determine the right treatment plan. Dr. Sunita Vohra from the CARE Program for Integrative Health and Healing at the University of Alberta stated that pediatric acupuncture is safe under trained hands. Results from peer-reviewed studies show that most adverse effects of acupuncture are mild, and are only about 11% of cases. Acupuncture for children also doesn’t need intense needling, as the needles can just be inserted in and out quickly. Also, children will barely feel the hair-thin acupuncture needles. Most of the time, child patients experience relief from symptoms after one or two treatments of acupuncture therapy. Acupuncture treatments are relatively pain-free. At most, children may experience numbness, dull ache, or a slight tingling sensation around the needle insertion site. There are instances that a child may cry during the treatment, but the sensation will go away quickly. The acupuncturist may give a little massage to the insertion sites to lessen the sensation. Acupuncture is a natural, safe and effective treatment for children, with a host of benefits that can be experienced for a long time. Book an appointment now with our licensed acupuncturist to get a consultation and treatment which are specific to your child’s health needs. 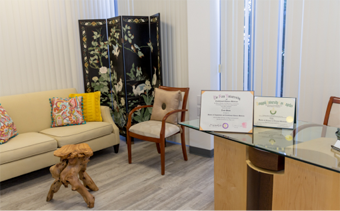 Our acupuncturist, Tram Pham L.Ac, also conducts phone and video consultations for those who can’t come to our Santa Barbara clinic. We also ship herbal prescriptions from our in-house pharmacy to your address. Posted in Children's AcupunctureTagged children's acupuncture, management of symptomsLeave a Comment on Acupuncture for Children: Is it Safe and Reliable?